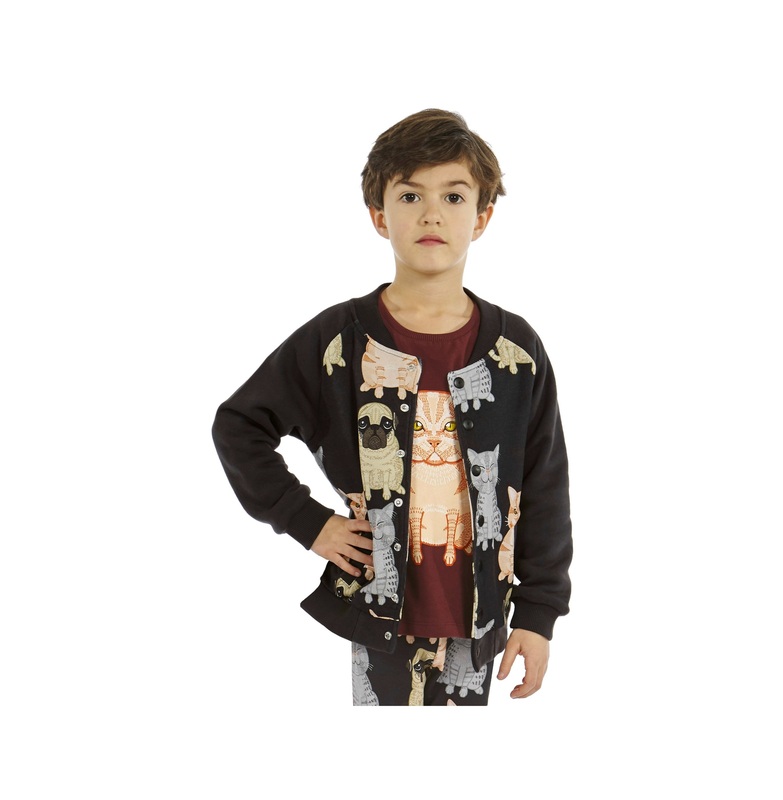 Baseball jacket in sweatshirt fabric in 100% organic cotton. 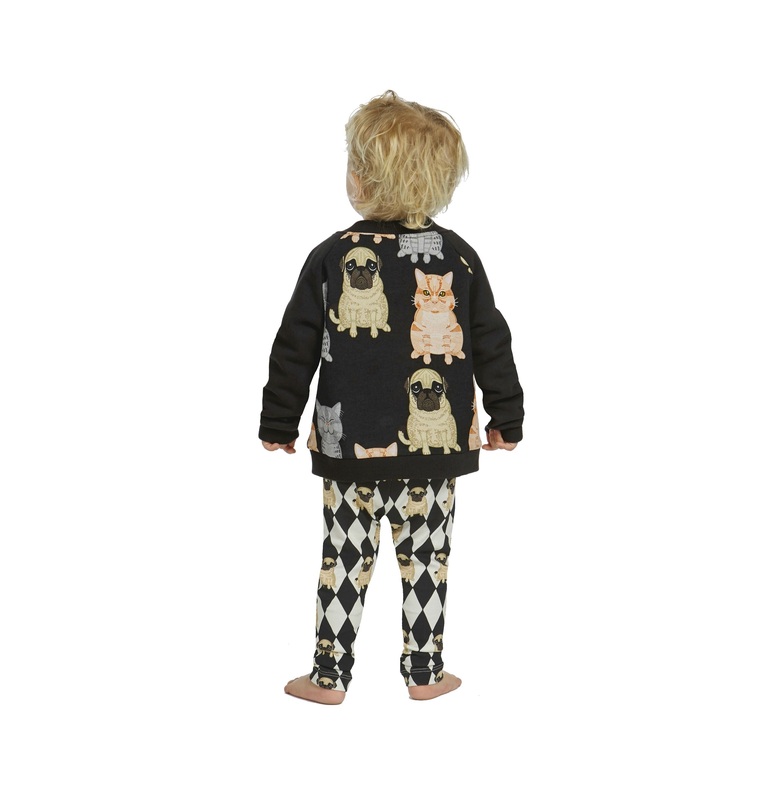 Lined with soft combed single knit jersey in 100% organic cotton. 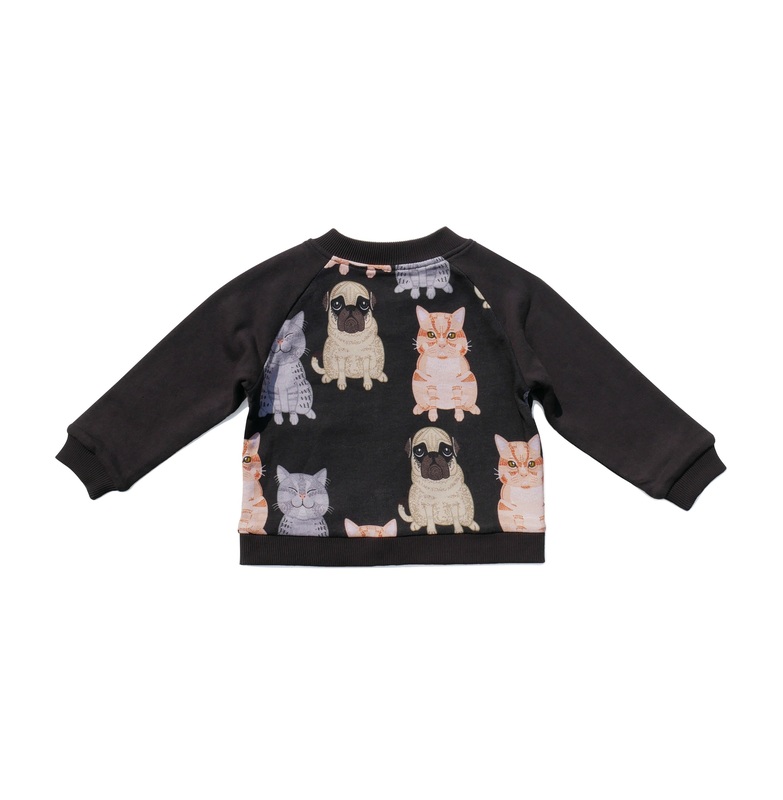 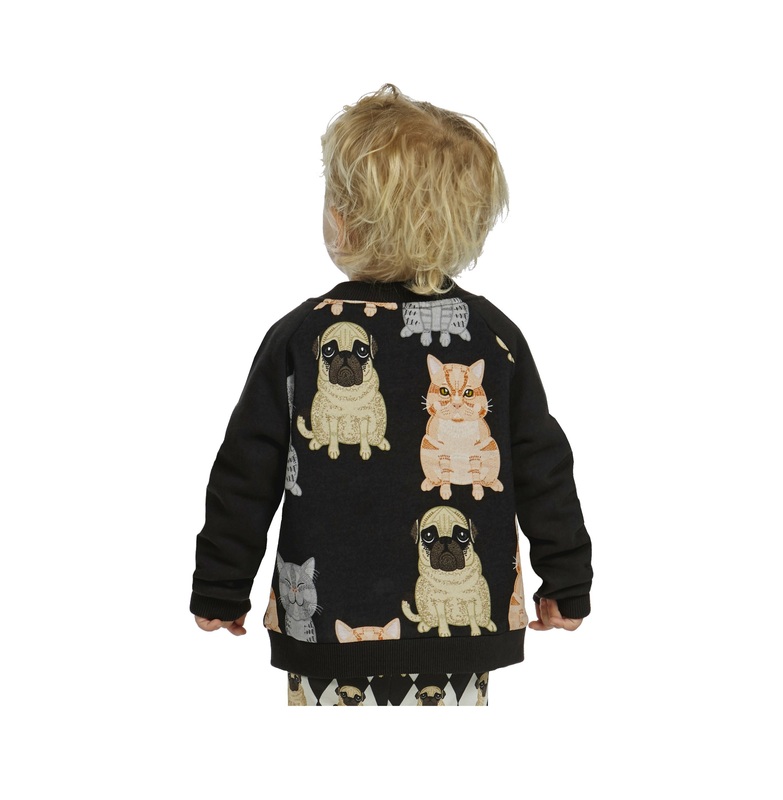 Torso in Fat Cats + Pug AOP with Jet black base sweatshirt fabric. 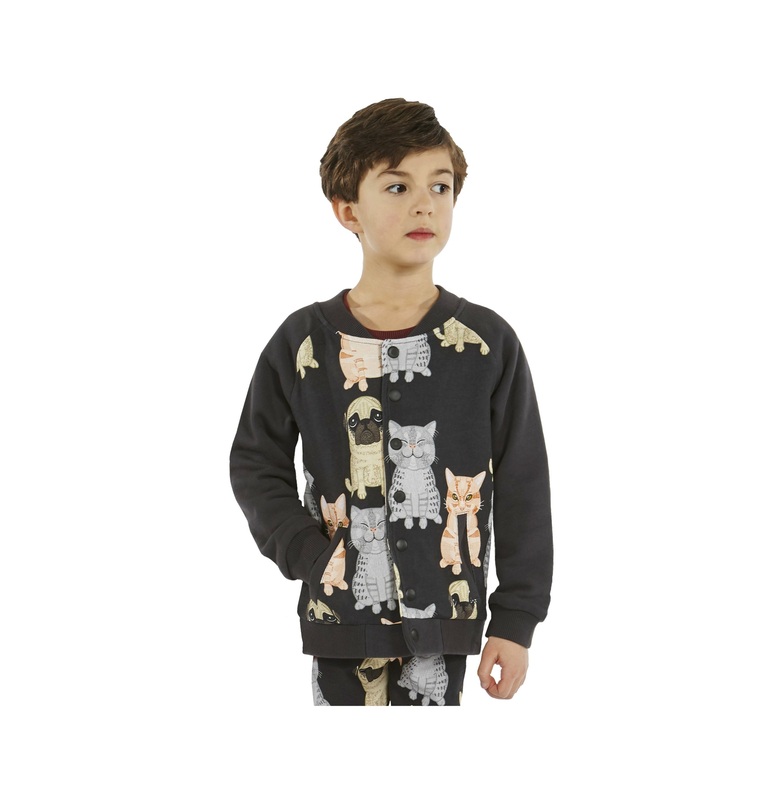 Raglan sleeves, collar, bottom sweep and passpoal pockets in black sweatshirt fabric.